Patricia Ann Jones — Riverdale-on-Hudson Funeral Home, Inc. 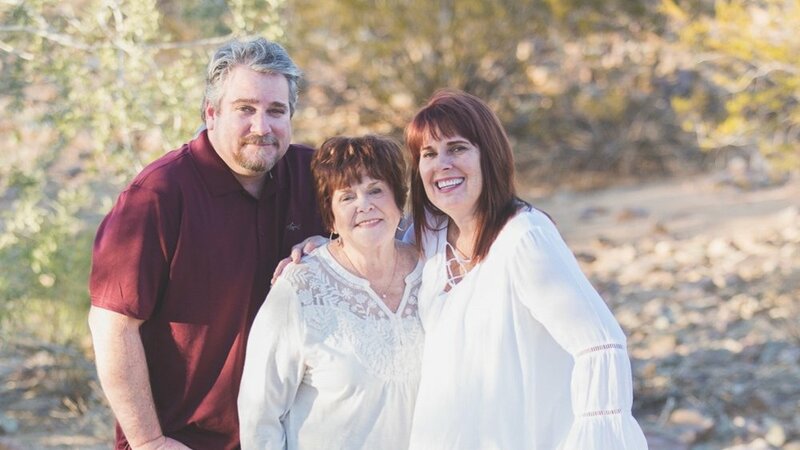 It is with great sadness we announce the passing of Patricia Ann Jones (nee Lynch) on April 7, 2019. Patricia was born on March 11, 1943 to Charles and Helen Lynch. She resided in Washington Heights until shortly before her life was changed forever when she married the love of her life, William Jones, on July 31, 1966 at Incarnation Church. After that Pat became a resident of many of our United States. After graduating from Aquinas High School, Pat went to work in New York City at the American Petroleum Institute. After starting her family, she worked at the Franklin Mint in Philadelphia, the Miami Lakes Home Owners Association and later ran her own home decorating business in South Florida. She then headed back north to New York and worked on Wall Street before retiring to Arizona. While her family was her priority, she also had a passion for reading and gardening. She always made time to pursue her love of reading by joining or starting book clubs wherever she lived and also served as President of the Miami Lakes Garden Club. Pat had many wonderful friends and was a wonderful friend to many. After Bill’s passing in 2014, she remained the bedrock of her family, supporting her children and loved ones without limit. She will be deeply missed, but no doubt she and Bill are dancing in heaven. Pat is survived by her loving children Patricia Rhee (Edward) and William Jones (Maria) as well as granddaughters Stephanie, Bridget, Allison, Shannon and Emily who adored her and were the light of her life. She is also survived by and will be dearly missed by her sister Rosemary O’Boyle (Patrick), brother Charles Lynch (Geraldine), her loving niece, 3 nephews, a great-niece, 2 great-nephews and all who knew her. Visiting hours will be held at Riverdale-on-Hudson, 6110 Riverdale Avenue, Bronx NY on Sunday, April 14th, from 4-8 p.m. A Mass of Christian Burial will be held on Monday, April 15th at 10:00 a.m. at Incarnation Church, 1290 St. Nicholas Ave, New York NY. Committal private.